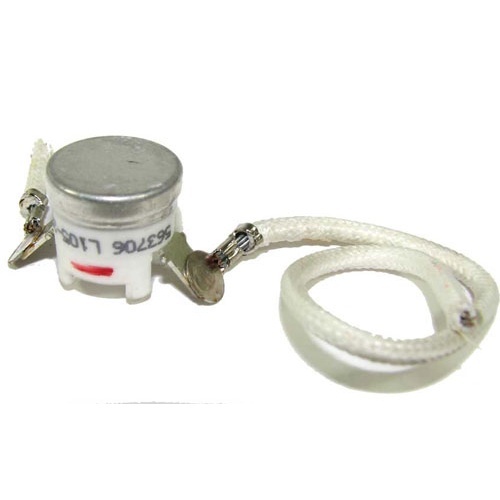 It's a nonpolarized bimetal heat sensor, 1/2" long with rubber sleeves and 6" long leads. It's also mysterious, because when used as a thermocouple multimeter input, it reads approx 94° in nearly boiling water but approx 170° in ambient air. Wethinks some sort of inversion or scaling is going on, but a person with your smarts will surely figure it out. High tech comes to Am Sci & Surp!! 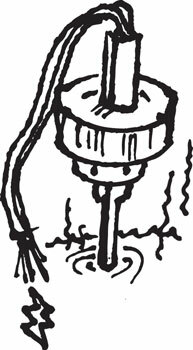 It is here in the form of a Peltier junction, a thermo-electric device that translates electric power into heat, and perversely, into cool. Apply current @ 3-12 VDC to the gizmo and it extracts thermal energy from one face, thereby cooling it. The heat is dumped onto the other face, thereby heating it. Please note: you must use a heat sink on the hot side or the junction will fry itself, since it can quickly create a 65° C temperature differential in a no load situation. Stack two, or build a cascade to increase the thermal differential created. Or run it backwards. Apply heat or cold to the relevant face and produce a current. Amazing for science projects and experiments. 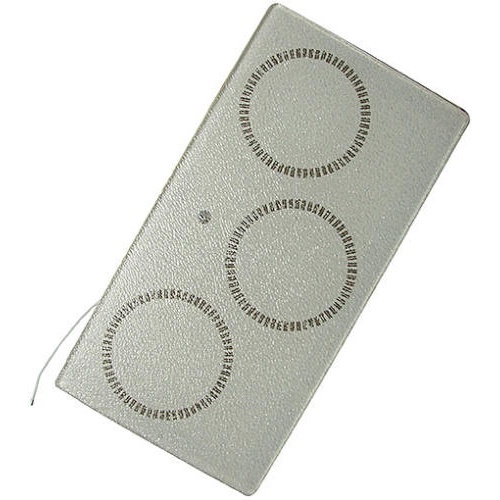 Practical for coffee warmers, beer coolers and mini-refrigerator or warming oven applications. Comes with instructions. Large is 1-9/16" sq. x 3/16" thick. Turn It Off Before It Melts! 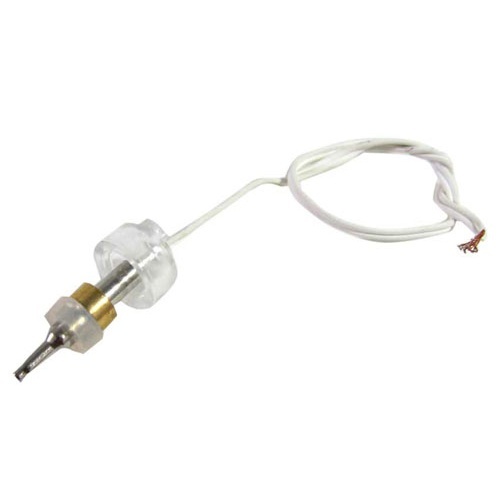 From Therm-O-Disc, this thermal cut-off switch is N/C (normally closed) by definition. (Thermal cut-offs are what keep your coffeepot from burning your house down.) This one shuts down between 221°F (105°C) and 248°F (120°C) and measures 5/8" dia x 9/16" thick, with (2) axial terminals. 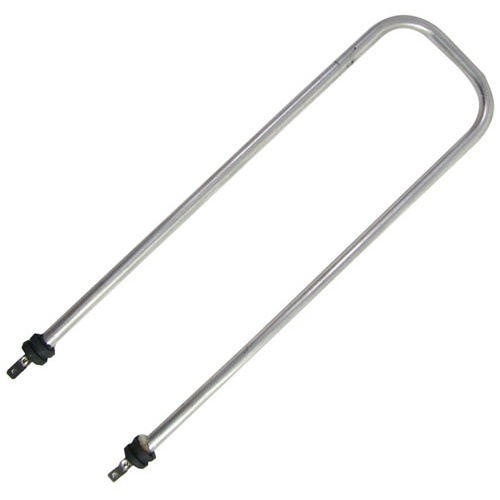 To heat what is anybody's guess, but it's a U-shaped heating element, 8-3/8" x 2-5/8" x 1/4" dia with a 107 Ohm Resistance and rubber grommets above the 3/16" wide power terminals. When CJ heated it up to 120F, those grommets got gooey, so he says use lower voltage DC. 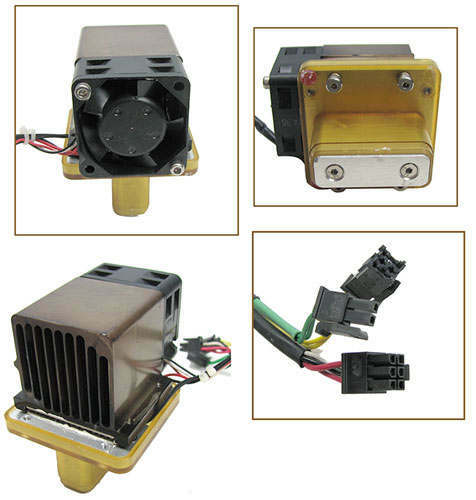 It’s a Peltier junction rated at 12VDC, 2.2 Amps, and attached to a heat sink and a muffin fan, making it all a self-contained cooling unit measuring 1-9/16” x 2-3/16” x 3-1/4”. Techie talk: the fat red & black leads are for the Peltier; thinner ones feed the fan, and there’s a yellow or white thermal sensor lead on the same plug. Separate green and yellow leads are to the thermistors at the top of the cool side of the heat sink. Made in the USA. Return with us now to those thrilling days of 1977, which is when this Pyrex-topped heating element was made as part of a stovetop hotplate. 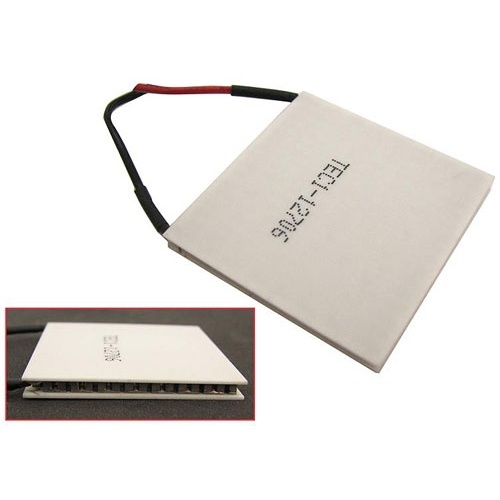 Measures 10-3/8” x 5-3/8” x 3/16” thick, and draws 120W at 120VAC with a thermal cutoff, neon indicator lamp, 1.5 ohm power resistors on both legs as fuses, and 4-1/2” leads. Will heat up to at least 230F. Made in the USA by Sierracin/Thermal Systems, part #976-4935-3. 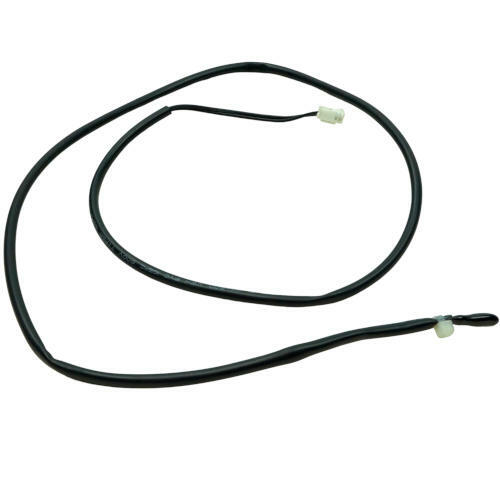 This dipped, nominally 10K Ohm thermistor is on a heatshrunk and tubed 27” lead with a 6mm 2-pin Molex connector. Resistance drops as heat increases (NTC). Comes encased in a 1” x 1-1/8” plastic housing with a clip. AC takeout.